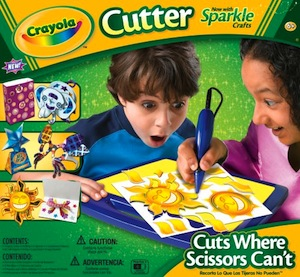 The Cutter makes cutting paper as fun and easy as tracing. Cut any size of intricate shape easily - even from the center of the page. Cutter Kit comes with cutter, refil tip, 2 stencils, 3 cardboard patterns, 8 craft papers, card stock, and project book.